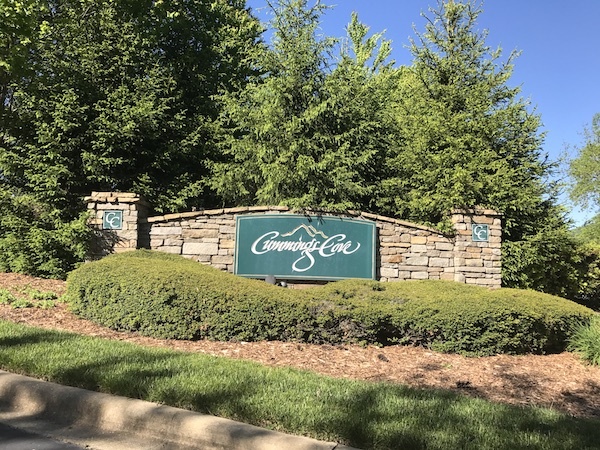 Cummings Cove is a stunning community located in the Blue Ridge Mountains and features a beautiful golf course, tennis courts, a pool, a restaurant and clubhouse activities. It is located within 15 minutes of downtown Hendersonville, which features fine dining, art galleries, Flat Rock Playhouse, the Brevard Music Center, and more. Homes in this community range from golf villas and fairway cottages to estate homes, with many featuring mountain views. Cummings Cove is zoned for Etowah Elementary School, Rugby Middle School and West Henderson High School.